With 10 NASCAR Xfinity Series races in the books, the Playoff picture is starting to take shape and, as always, there are some surprises and new faces looking to compete for a title in the postseason. Current standings leader and veteran JR Motorsports driver Elliott Sadler currently holds the No. 1 seed by a slim margin (three Playoff points) over Sunoco Rookie of the Year contenders Christopher Bell and Tyler Reddick in the second and third seeds, respectively. Sadler is granted the No. 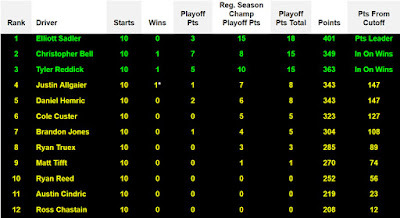 1 seed in the chart below with the expectation he holds on to win the NASCAR Xfinity Series regular season championship, something he personally knows can pay off big time in the hunt for a title. "What we learned last season as being the regular season champions was that it paid a lot of dividends in the Playoffs because you get 15 Playoff points," said Sadler. "So we are ahead in the points now and we know all that will be taken away, but if we can continue to lead the points through the summer months and get some bonus points for being the regular season champion, that’s 15 points that’s in our piggy bank for the Playoffs, and for us we found out last year that is going to come in handy." 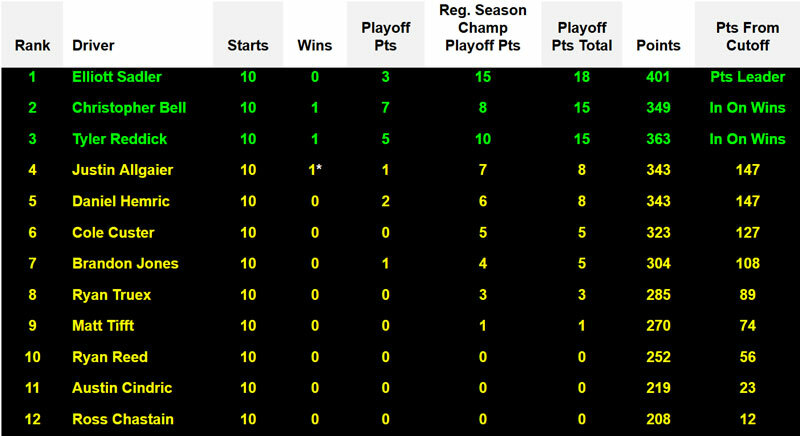 The NASCAR Xfinity Series regular season champion is also guaranteed a spot in the Playoffs no matter the number of different winners. Though, so far this season, just three championship contenders have won races – Tyler Reddick (Daytona), Christopher Bell (Richmond) and Justin Allgaier (Dover). Allgaier and the No. 7 JR Motorsports team received a penalty following the Dover race and therefore the win cannot be used for eligibility into the Playoffs, but as of right now, Allgaier can still make the Playoffs on points. 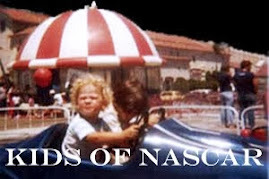 Of the 12 Playoff qualifiers five of the drivers would be first time competitors in the postseason in the Xfinity Series: Christopher Bell, Tyler Reddick, Ryan Truex, Austin Cindric and Ross Chastain. Playoffs are always top of mind for the NASCAR Xfinity Series competitors. 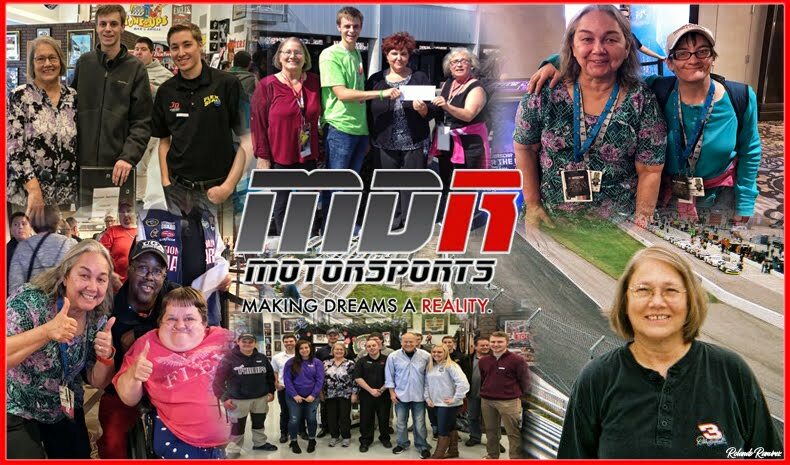 Just 12 points separates JD Motorsport’s Ross Chastain currently in the 12th and final NASCAR Xfinity Series Playoff spot and JR Motorsport’s Michael Annett currently in the 13th position in the championship standings, the first spot outside the postseason cutoff. With just 16 races left in the regular season, each points position is crucial in the effort for a fnejxttitle.